A vital piece of machinery – commercial washer, dry cleaning machine, shirt press – breaks down causing production to suddenly come to a halt. Now what? Who do you call? 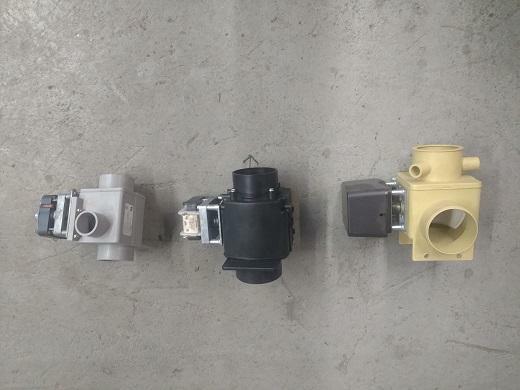 Having a reliable parts supplier is critical to the success of our type of business, because too many breakdowns causing missed deadlines will lead customers to look elsewhere. Obviously, I’m going to tell you why Tri-State Laundry Equipment should be your number one call should you need a replacement part for your commercial washer or dryer. One observation I’ve had over the years is that when a customer calls describing a problem, our parts manager can listen to the issue and discern what part is needed, without having a part number given to him. Knowing which part is needed and being able to determine the current part number is a special talent that our parts manager processes. Our parts manager’s knowledge, our extensive parts inventory, manufacturer and field service experience, and knowing the ins and outs of manufacturer series changes and models, should say more than enough about how much emphasis we put on commercial laundry and dry-cleaning parts and service. To top all that off, we’ll even tell you when a repair kit will work better than replacing the entire part, which can be a real money saver. At Tri-State Laundry Equipment, we source and provide all manufactures parts such as Sankosha, Unipress, Forenta, Electrolux/Wascomat, B&C, Milnor, Unimac, Parker Boiler, Fulton and American Dryer for laundry and dry-cleaning. So if you need a little help in this area, give us a call. Dry cleaners who believe in properly caring for their pads and covers have a different mindset; a mindset that focuses on providing the best quality for their customers. These operators know that keeping pads and covers clean and changed out as needed is an integral part of providing that quality. And sometimes, it doesn’t always have to involve purchasing new. Sometimes a matter of changing the flannel base on a shirt pad and washing the cover can do the trick. It’s all about being in-tune with your operation, paying close attention to your laundry or dry-cleaning equipment and the kind of quality it produces, and taking the time to make adjustments and changes when required. Some operators are comfortable with purchasing and replacing pads and covers on their own; other operators like the convenience of having someone do it for them. All pads and covers manufacturers that have salesmen in the field will change them out as part of their service. If you’re getting them through a local supply company, you could ask them if they have someone to change them for you, if you prefer. A new item on the market, silicone pads, is creating lots of buzz. Word has it that they last much longer, and that leaves only the cover to be changed. This new product touts a higher quality finish, fewer touch ups, longer life, better steam and vacuum, and no hardening. There are lots of options out there. Sometimes you must test a few before you find the right fit for your commercial laundry business. 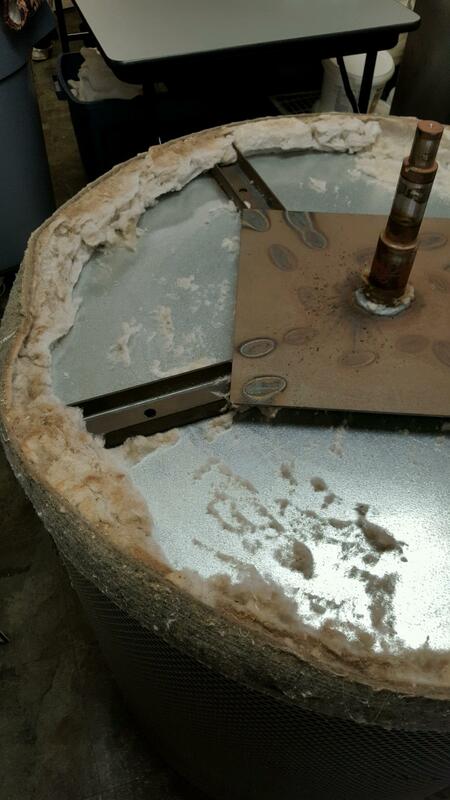 If you need help with pads and covers, call Tri-State for factory original pads for your laundry equipment. We can keep your customers coming back for your quality work. 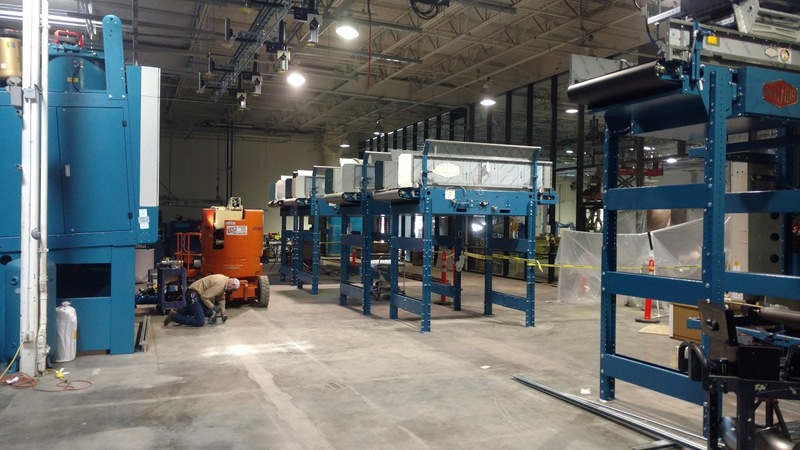 Last year, we shared details on a couple rigging jobs we completed. While we (and our customers) were incredibly pleased with the results, we felt like it was time to add to our experience with some advanced training. Rigging is a dangerous business and widening our knowledge base with information on best practices, tools of the trade, and challenging scenarios was a natural next step. So, Matt, Josh, Nick, Jody, and I spent two days studying intermediate to advanced rigging applications, and now we are prepared to safely perform Level 2 rigging activities. What does that mean? Now we are equipped to calculate tensions based on sling angles of symmetric and non-symmetric loads as well as headroom limitations and load weights. This is important both to guarantee the safety of our crew and to ensure that equipment is properly secured for offloading and installing. In addition, we learned more about different slings and hardware options, and how to select the appropriate options for the job. The training was intense, and the examination was challenging, but we all agreed it was worth putting things on hold to understand the details of handling large heavy loads safely and with the right tools and materials. Before this training, Tri-State was already prepared to handle all kinds of rigging situations. Now that we’ve completed this advanced training, we have a much better understanding of the do’s, don’ts, and how-to’s of moving, offloading, and installing extremely large, heavy, and expensive equipment. If your business has a big job in the works, and you know you’re going to need help, give Tri-State a call at 866-885-5218; we are happy to be of service. 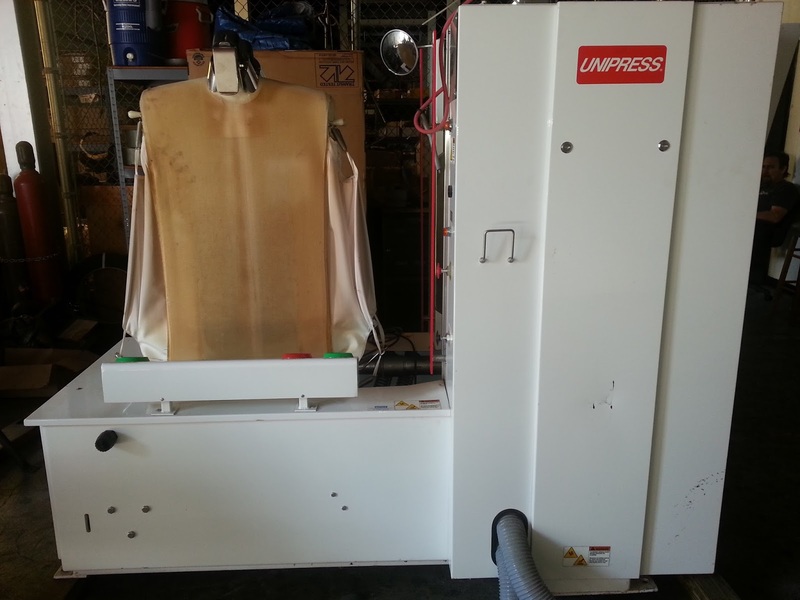 Because most dry cleaning and laundry equipment has some pneumatic operations, having a properly functioning air compressor is vital in keeping your facility running properly. Below are the top items, in no particular order of importance, that are typically neglected on most air compressors. Tri-State Laundry Equipment recommends that you set up a routine maintenance schedule for all your equipment and when you do, add these items to your list for your air compressor. Be sure to check the manufacturer’s specifications on your compressor to determine the frequency for each item listed below. Belt tension and condition – check to make sure the belt can travel freely and that it doesn’t have excessive wear or damage. Air intake filter – clean or change if it has an excessive buildup of dust and dirt. Oil and oil filter – just like with a car, you want to be sure you are using the proper oil and amount as well as change both the oil and filter regularly to keep your compressor running properly. Tank drained of water – this should be done daily because intake air has moisture in it, which settles at the bottom of the tank. Check for leaks – at the tank, pump, within the operation, and at the pressure switch.For more information on checking for leaks, check out this recent blog post. Tank outlet water separator and filter – check to see if needs to be cleaned or replaced. Mounting bolts – make sure they are tight to the floor and the pump is tight to the tank to avoid unnecessary vibration. Motor bearings – make sure they are properly greased, including the fittings at the ends. One additional thought – if you don’t have an air refrigerated dryer, you should consider one sized for your air compressor’s CFM capacity. Dry air is a must for long life of pneumatic valves and cylinders and makes a big difference in the equipment’s reliability. Think about most repairs on your dry cleaning and laundry equipment, and I bet it is pneumatic valves being replaced or rebuilt which is mostly due to moisture and lubricant mixture; they just don’t work well together. 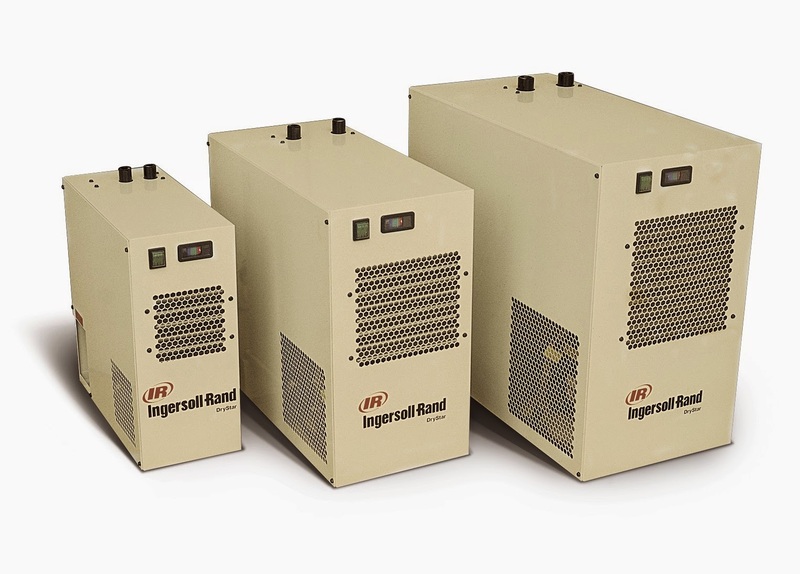 If you have questions or concerns about air compressors, please feel free to call Tri-State at 1-866-885-5218. Today, with washing making up nearly 50% of a dry cleaner’s volume and 100% of hotel and hospitality establishments, we service way more commercial dryers than we did just a couple years ago. Sadly, as with so many other pieces of equipment, our service technicians share stories of how commercial dryers are not being properly cared for. The problem with not properly caring for your dryer is the fire potential; the biggest issue is lint buildup within the dryer and duct work from filters not being cleaned properly or being damaged. Most laundry fires start in the dryer due to this very issue and because most dryers are Natural/Propane gas, when you have fire for heat and lint built up all over the inside of the dryer cabinet and duct work with lint in it, a piece of lint blows through the burner and into the dryer on fire, and puff, you have fire being fanned by the blower motor which gets it going and keeps it going until the electrical wiring burns up and shorts the motor. It’s pretty scary, and it should be. Cleaning the entire inside cabinet and duct annually, and it’s not hard when done annually but it is when there is 3” of build up throughout. Clean the burner and all orifices, ensure the burner is in good shape, because they do decay from exposure to gases from combustion. Check filters for good condition. Make sure there are no holes and if a seal is around the outside of the filter is it in ok shape . Check for bearing wear by lifting up on the inside of the drum, and if there is excessive bearing wear then you will be able to lift the drum an inch or so. Trunnion adjustment is possible on some dryers which is a means of lifting the front of the drum with adjusting bolts on the rear bearing assembly to keep the basket from rubbing the front housing. Make sure sail switches are properly working and aren’t jumped out. (This happens when you absolutely need the dryer and don’t have the part to repair and forget to replace).These are switches installed in the air ways usually where the duct attaches to the dryer to make sure there is air flow, so you don’t have heat without air flow. Always consult your owner’s manual for all maintenance requirements and safety procedures, and feel free to contact Tri-State if you have questions about how to properly care for your dryer. Several years ago, the shirt unit evolved from the traditional 3-piece unit (body, collar & cuff, and sleever) to the 2-piece tensioning body and collar & cuff. Over time, manufacturers perfected the tensioning body with sleeve pleat presses, rear shirt body tensioning, and larger side expansion for bigger shirts. In fact, the early tensioning units do better than most top-of-the-line 3-piece units, in my opinion, because the shirts aren’t handled as much, which leads to wrinkling of the pressed part of the shirt while it’s waiting for the next step. So, you’re reading this and thinking you might need to upgrade. Well, a new single buck from Unipress or Sankosha lists at $40,000 plus, depending on your negotiating skills, and a double buck lists in the mid to upper 50’s. How can you justify that kind of money? It really depends on your shirt volume, cost, and return on investment. If you’re doing 2,000 – 4,000 shirts a week, the first question you should ask is do I need a single buck or a double buck? But if your business is small and shirt volume is less than 1,500 per week, then going with a good-quality used unit makes sense. You can purchase a refurbished single buck tensioning unit with steam blown sleeves, rebuilt valves, replaced hoses, re-padded to factory padding, and checked for wear issues for $7,500 to $17,000 and a double from $7,500 to $25,000, with a 6 month parts-only warranty from Tri-State Laundry Equipment. I often wonder if other people’s brains work like mine. I think about a topic, which leads to another topic, then another, and before I know it, I’ve created this whole big-budget movie-like scenario in my head that warrants an Emmy. In last month’s blog post, we discussed common causes for low-water levels in boilers, and writing that post led to a number of thoughts, which climaxed with a not-so-pleasant explosion-like ending. I realize that is taking it a bit far, but boilers, if not properly maintained, can fail, leading to a potentially dangerous situation. And one thing I can say for certain is that most folks do not properly care for their commercial boilers. Safety first – Always wear the appropriate clothing, shoes, and safety gear when working on your boiler. Follow procedures – Create a set of guidelines to follow for proper startup and shutdown, and make sure that whoever is responsible for following the guidelines understands and follows them carefully and consistently. Preventative maintenance – Set up a routine preventative maintenance program according to the manufacturers’ specifications, and be sure to document each one along with any unusual findings. Inspections – Perform regular inspections and address any issues found during the inspections immediately. Boiler room – The boiler’s burner needs the appropriate amount of air circulation to work properly. If there isn’t proper circulation, the boiler could produce carbon monoxide, so avoid storing unnecessary items in the boiler room. If your new or used boiler is in need of attention and you don’t know where to start, call Tri-State Laundry Equipment Co. at 866-885-5218. We are glad to offer assistance with advice, service, parts, or equipment replacement. 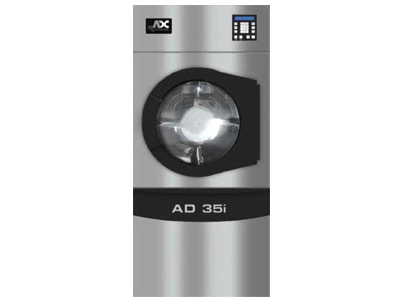 While dryer technology hasn’t changed too much over the years, there have been a couple new features, one being moisture sensing, added to more recent models. Companies like Electrolux/Wascomat and American Dryer Corp. have really embraced this dry control feature that turns the heat off once the moisture level reaches a preset number entered by the operator. I love the idea of using this moisture control shut off feature for things like delicate items or linens, and I also love the fact that it frees up the operator from having to babysit the load. Condition of the basket shaft bearing – to do this simply lift up on the drum from the door opening. There should be little play, 1” or less. Clearance between the basket and the front door opening lip – if there is very little clearance or some rubbing, then the bearings and basket rollers need to be replaced. Noise level when the basket turns – if there is a bumping noise, more than likely the front basket support rollers need to be replaced. Make note of the dryer’s dimensions. Obviously it needs to fit in the space you have in mind, but it also needs to travel through doors and hallways to get there. Be sure you have the proper air make up for the dryer. This is important from both an efficiency and code standpoint. Fresh air needs to enter the room from outside at the same rate that it is blown out of the room. To avoid a draft in the room, place the inlet air behind the dryer, making certain that the opening is 5 times the size of the exhaust pipe area. Grates and slats many times block a portion of the air vent area, so be mindful of that as well. Most manufacturer’s installation manuals offer more specifics to help, but we are glad to answer any questions you might have. 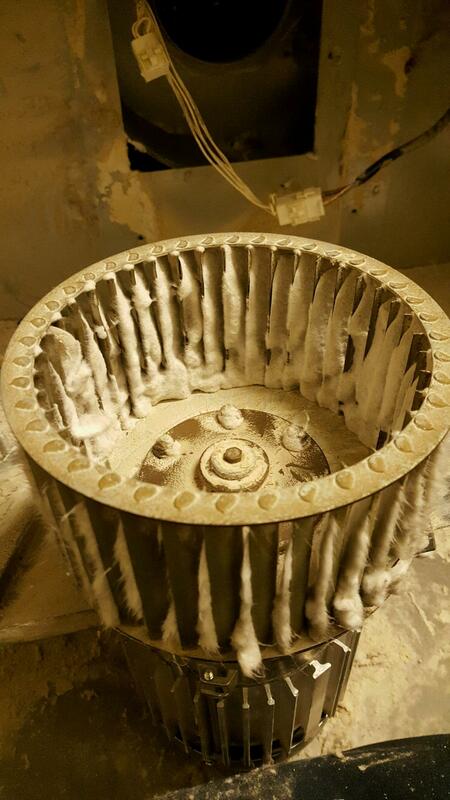 Once your commercial dryer is up and running, don’t neglect it. 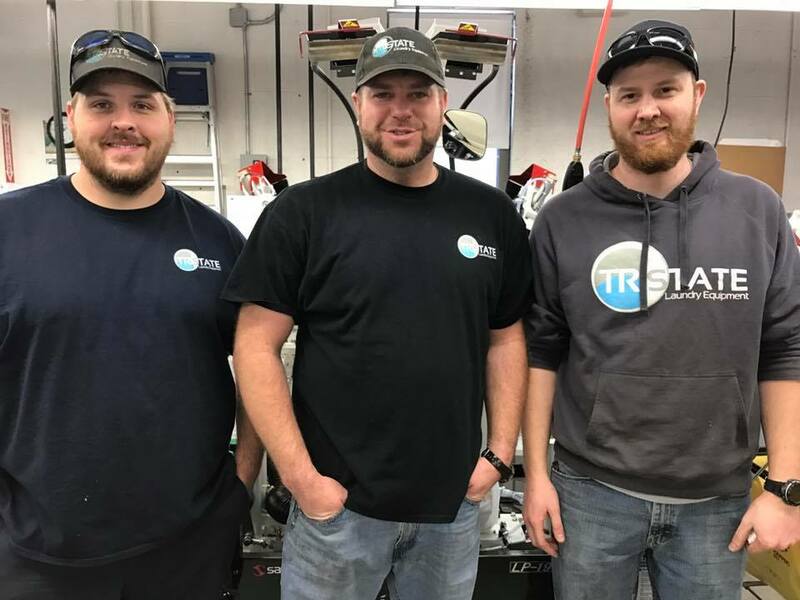 Be sure to check out Tri-State's resources section on how to provide proper ongoing care for your commercial dryer in North Carolina and elsewhere. As always, feel free to contact us at 866-885-5218 if you have questions or need assistance. It’s a question I get asked often, and then it is usually followed by a long list of reasons why they aren’t attending. One of the more common reasons is ‘I don’t really need anything.’ I would disagree. I will follow that up with these points. 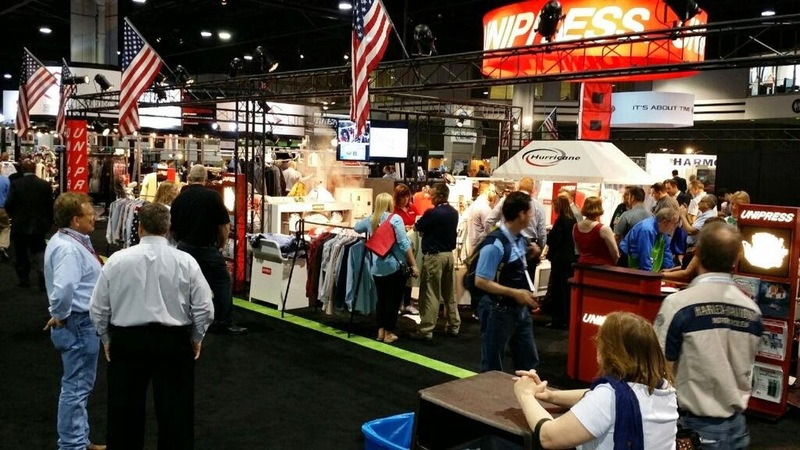 First, while The Clean Show is full of the latest in technology, it is also attended by thousands of your peers. Those folks come with a wealth of information and ideas to share. Second, it gives you an opportunity to talk one-on-one with the companies that manufacture the equipment and products you use every day. Finally, it gives you the chance to learn the latest methods and processes. But let me tell you why I like attending The Clean Show; it allows me to spend hours talking and learning about something I simply love. This year, I am particularly interested in seeing the Compass Control computer for the Electrolux and Wascomat Commercial Laundry Equipment line. The computer is fully programmable and will be the same on both Electrolux washers and dryers. 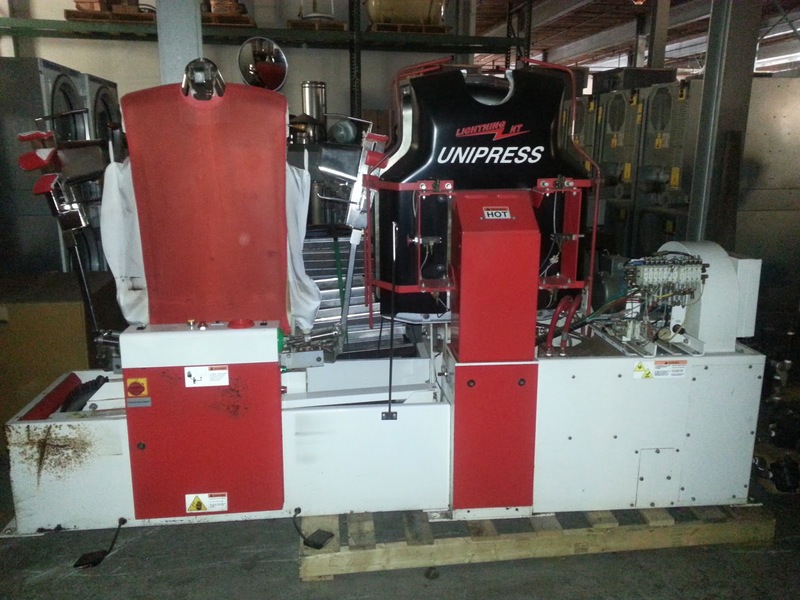 I’m also really excited about seeing the newly introduced Unipress BAG Auto Bagger with a loader/unloader for a fully auto operation. 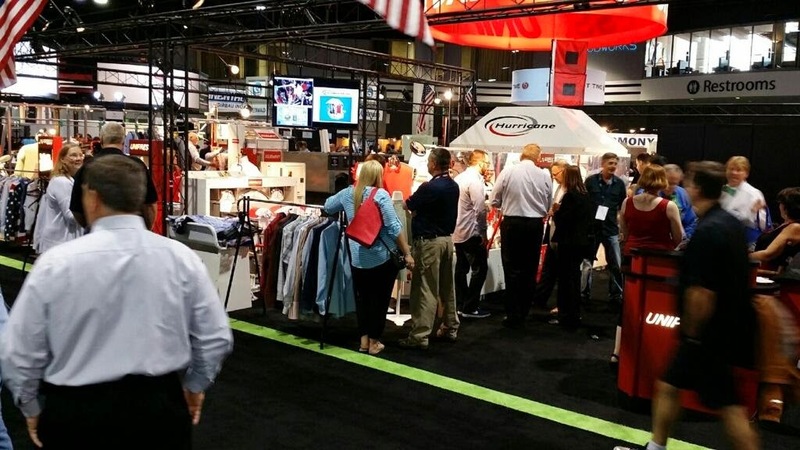 The Clean Show does showcase the latest and greatest in equipment. Things I believe dry cleaners should look for this year – POS systems, bar coding, garment sorting and automation. But it also gives you the opportunity to discuss your operations and our industry as a whole with other attendees to learn as much as you possibly can. The Clean Show is really what you make of it. But you won’t know if you don’t go. Is Something Slowing You Down? I’m sure you pay close attention to your production equipment – washing and dry cleaning machines, pressing equipment, etc. But do you go as far as to check the fill times on those machines? Why is fill time important? Well it can hold up your production process and in turn cost you money. Washing Machines – Fill times will vary based on incoming water pipe size and the size of the machine itself. But if your machine seems to be filling slowly check for clogged hose screens and drain valves that aren’t properly sealed. Both are simple to do but instructions do vary a bit depending on the brand of machine you have. Be sure to consult the owner’s manual and follow all the safety procedures before starting. 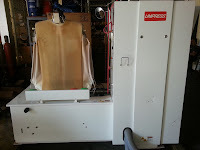 Dry Cleaning Machines – Cycle times can vary depending on these simple factors. First, make sure all pump strainers are clean. Second, ensure that the level float switches are working properly to ensure proper fill levels. Finally, make sure that the filter and spin disk is clean to allow solvent to flow freely without added back pressure from solid build up. 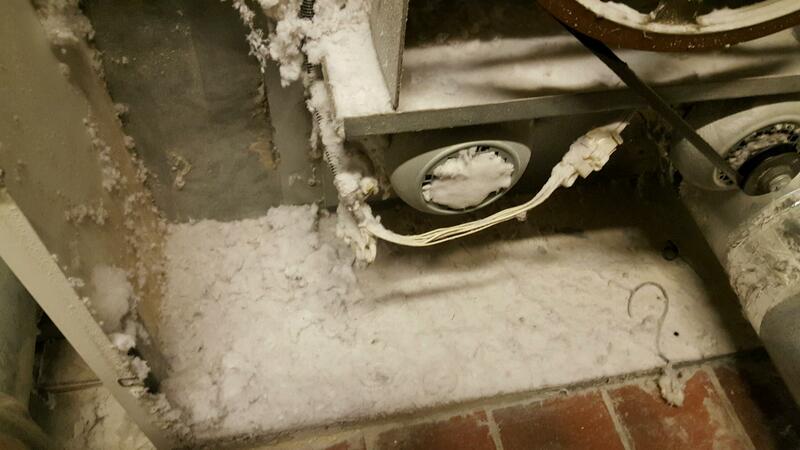 Refrigeration and Steam Coils – Cleaning these should be part of your annual maintenance plan. If they are not cleaned, air flow will be restricted, dry time will increase, and the wheel will hold a solvent odor. Coils are actually easily cleaned by simply removing quick fittings and then wiping down with coil cleaner from a refrigeration supply business. Make sure before you remove these coils that you have new gaskets and proper waste containers to dispose of the lint, acid, and rinse water. So bottom line – watch the time it takes for you to process a load. It may tell you if something in your plant is slowing you down. There is always room to improve efficiencies so I am constantly analyzing equipment and methods. Here’s my latest mission – the hot water heater for 40 to 80 pound washers. And here’s my conclusion – instantaneous gas water heaters work really well provided you have the inside wall space for installation and venting. They are somewhere in the 84 – 94% efficiency range depending on whether they are condensing or non-condensing. What’s the difference between condensing and non-condensing? A condensing water heater circulates the incoming cold water through an exhaust heated heat exchanger before it goes through the gas fired heat exchanger thus preheating the incoming water and utilizing the exhaust heat. A non-condensing unit does not have the exhaust heat exchanger and simply heats the water as it passes through the gas fired heat exchanger. There are advantages of using an instantaneous water heater. For instance, not having to maintain a supply of hot water for use and not constantly burning gas to maintain the desired temperature in the storage tank. But there is a disadvantage; there is no head start. That means that your incoming water is at ground water temperature. The temperature does depend on your location. Around here that means around 65 degrees, which leaves a 65 plus degree rise to reach our hot water temperature cycle requirement for most hot wash cycles. A setup that I’ve really grown fond of is where multiples of instantaneous come in for adequate flow rate. Take this scenario; an Electrolux EXSM665 65lb washing machine has a fill rate of around 16 gallons per minute. A 199,000 BTU heater at a 70 degree rise from ground water temperature is 4.2 gallons per minute. Therefore, we’d need to install three units to supply the 12.6 gallons per minute needed. I like the Rinnai and Noritz brands because they can be controlled to work together as one unit. They can even switch back and forth as to which is the master unit for even unit usage. Unfortunately, there are still some unknowns. The cost of three 199,000 BTU instantaneous heaters will be less than one 80 gallon 199,000 BTU tank heater; however, the installation of the instantaneous system will be higher because of the three exhaust systems, additional piping, and such. And though the cost to operate this system is considerably lower, I don’t yet have a real life payback in utility savings. I will monitor this and provide more information at a later date. But ultimately, I believe this setup is definitely worth considering.